Maximize your contractor management effectiveness with service automation software. With tight budgets and constrained resources, facilities management teams need to manage their contractors efficiently and cost-effectively. Service automation technology modernizes the way FM teams source, hire, and manage service providers. 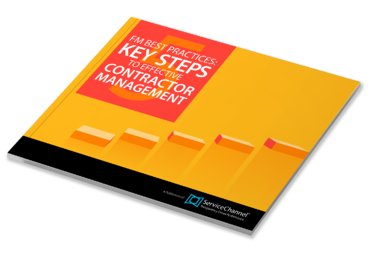 Download this Ebook and discover how effective contractor management leads to effective facilities management. "Our vendor scorecard is the way we get on the same page with our service providers; it’s how we know where they are performing well and where they’re not. I don’t know how you’d manage vendors without a scorecard."